She was fitted with a satellite transmitter on her carapace on a stormy night in Umm Al-Maradim on the night of 24 May 2010. She rode a small wave, which landed her softly on the pristine sand of the islet’s southeast beach. 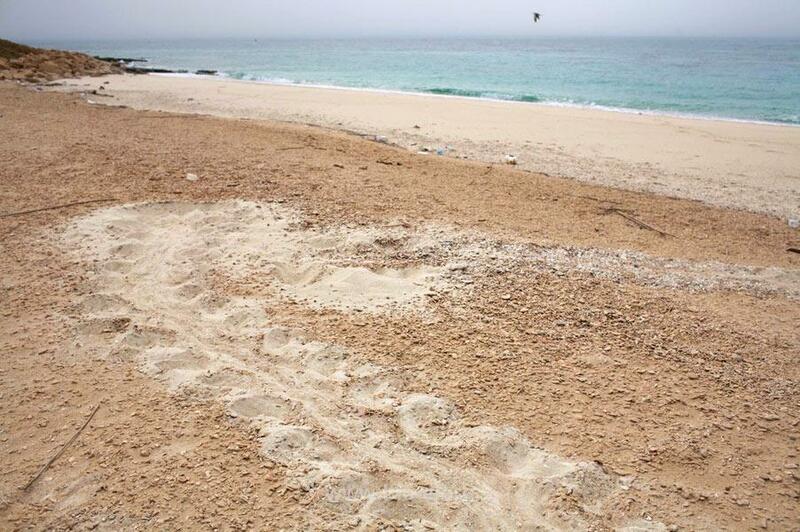 Ali Alhafez, Kuwait Turtle Conservation Project (KTCP) volunteer at the time, spotted her first. He later named her after his mother, even though she slapped his face as she struggled to go free from the tight tagging box the team had her in while attaching her 5,000 USD transmitter. 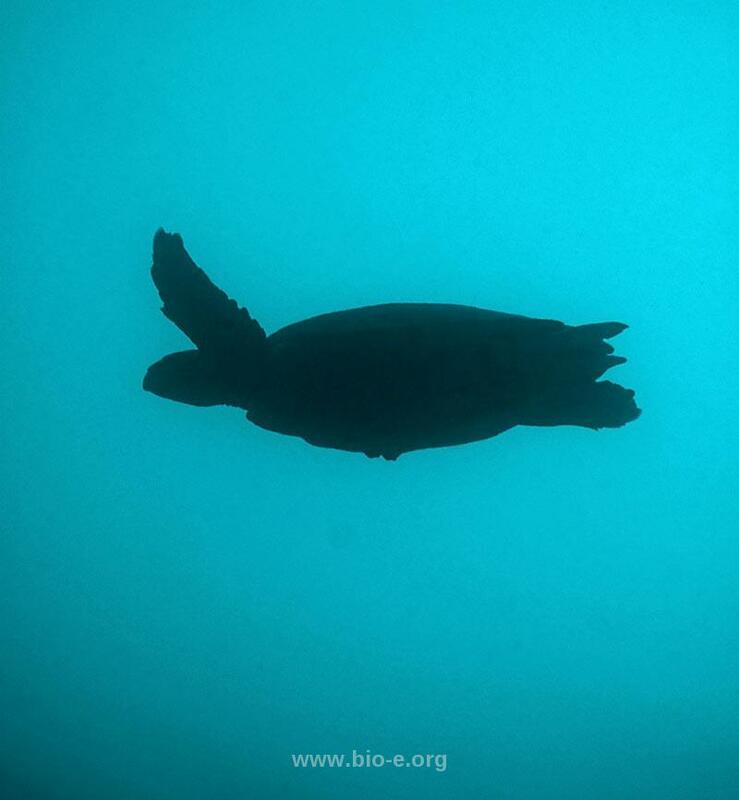 Tracking devices on turtles usually last a few months on the animal, either because the batteries get depleted, or the transmitter is damaged as the turtle attempts to clean its carapace under rocks, or even because animals have unfortunate fates as bycatch in trawling nets. Nada, however, defied all these odds. 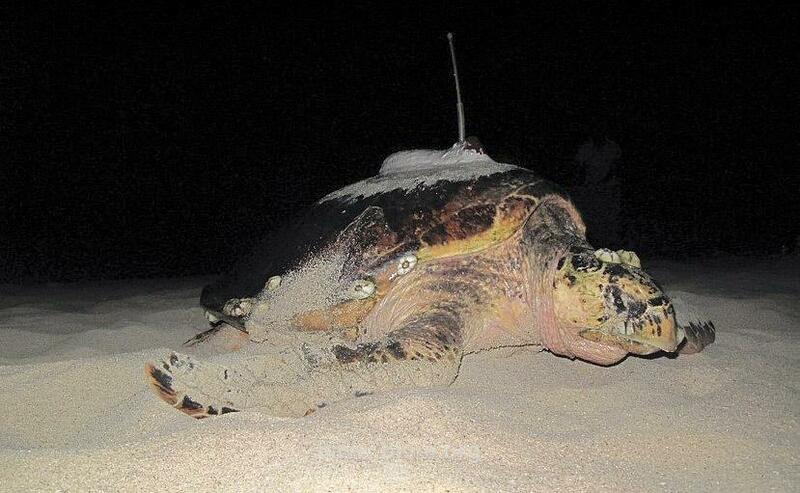 Two nights ago, and as is normal for Hawksbill turtles which nest every other year, she came out again. 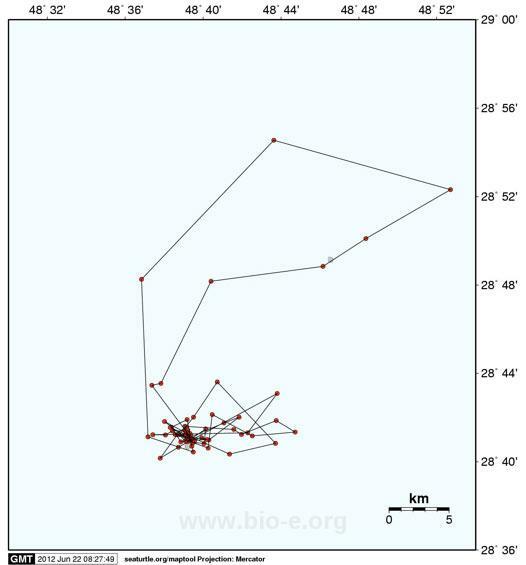 After more than two years with her transmitter on, during which she has been giving detailed signals regarding her whereabouts, there she was again, on the island, spotted thanks to the expertise of PhD researcher of the University of Exeter and KTCP marine biologist and tracking expert, Alan F. Rees. 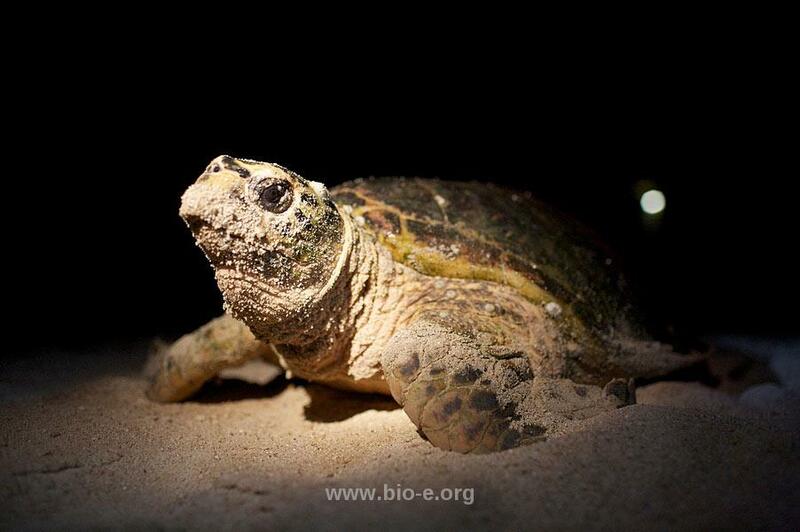 Through Argos, the system allowing researchers to track animals throughout the planet, and in the last two years, eight Kuwaiti turtles were followed in their journeys away from their nesting grounds for several months after they were first met by KTCP team members. 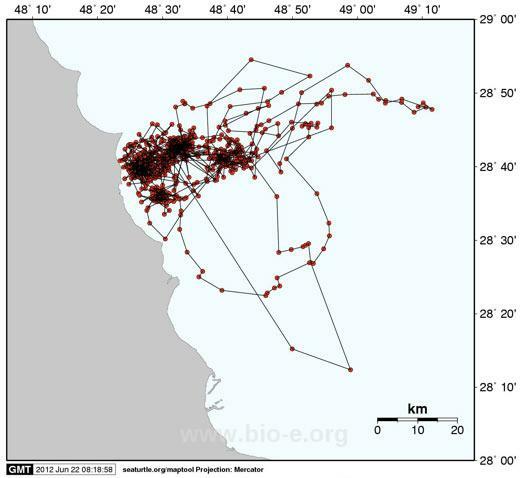 Unlike some of the other animals, Nada did not travel far away from the southern Kuwaiti sea in the last two years. Nobody was there to meet her this year and enjoy the very rare sight of a turtle nesting with her active transmitter on. Now a famous animal for the Gulf thanks to her two-year record, we wish her and her offspring a successful year as well as a lot of peace and quiet on the nesting beaches of Umm Al-Maradim and adjacent waters. The Kuwait Turtle Conservation Project was sponsored by TOTAL Foundation and TOTAL Kuwait and carried out under the auspices of the Voluntary Work Center Kuwait, The Scientific Center Kuwait and the Kuwaiti Coast Guard.